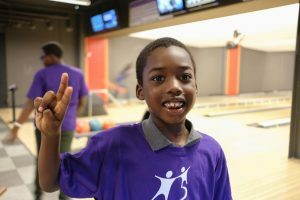 Credit Union Volunteers become Bigs for a Day! 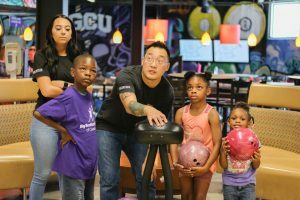 On July 28th, Big Brothers Big Sisters of Central Arizona hosted a Big For A Day event at Grand Canyon University. 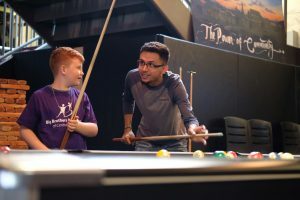 Joined by employee volunteers from Desert Financial Credit Union, BBBS was able to provide a fun experience for almost 30 children on the waitlist. Waiting Littles and the Desert Financial volunteers enjoyed bowling, pool, Jenga and a ton of other fun games! 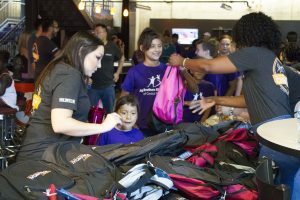 Littles received backpacks filled with school supplies, snacks, and swag from both GCU and Desert Financial. CBS5 news even stopped by to capture fun moments from our event and interviewed both waiting Littles and volunteers. 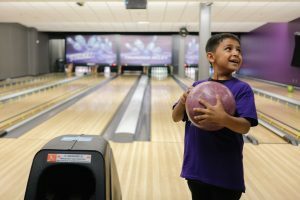 This event was a one time opportunity for future BBBS Littles but the real truth is that BBBS needs more volunteers to get involved. 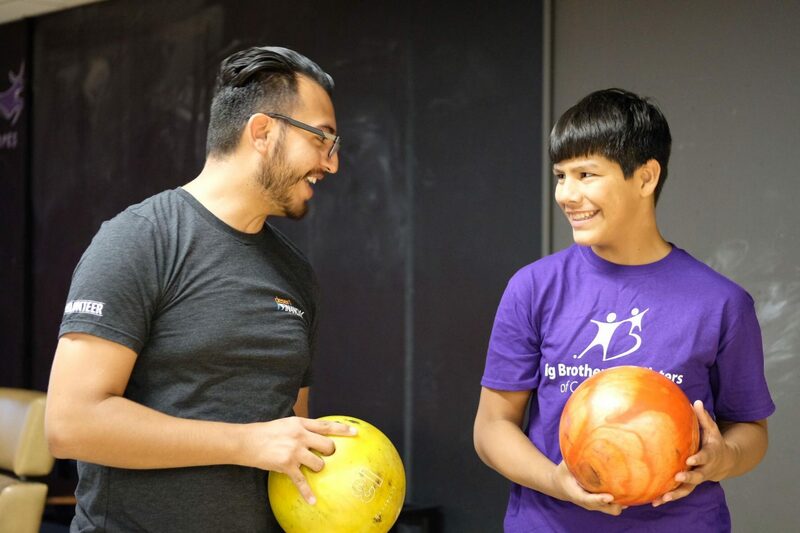 Volunteering just a few hours a month BBBS can make a huge difference in the life of a child. Why not apply to be a Big today? There are kids out there ready to get started. Are you? Click here to get started today!